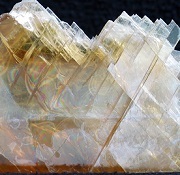 Monopolization May Pose Threat to Global Gypsum Industry | Merchant Research & Consulting, Ltd. Vulnerability of the global gypsum market is evident. While being a versatile product used in many applications, its major outlet is the construction sector. In 2016, gypsum was mainly used to make cement (appr. 61% of all gypsum produced globally) and wallboard (33%), employed by the building industry. Other products like fertilizers, pharmaceuticals, soil amendments and food additives account for mere 6% of global gypsum production. Such a specialized focus of application is a challenge for many companies. Thus, major gypsum producers have to develop fairly large and diversified portfolios of gypsum products, whose added value is often enhanced by technological research in the area of making and improving gypsum compositions, as well as their tailoring for specific needs. The product diversification, nevertheless, could not be considered a panacea in case the construction market implodes, the macroeconomic situation changes or new environmental laws come into force. For instance, United States Gypsum (USG) Corporation (that agreed to a $7 billion acquisition by Germany’s Knauf KG in June 2018) filed for bankruptcy in 2001 when asbestos abatement regulation hit the company via multiple lawsuits. The similar vulnerability is observable with respect to fairly significant monopolization in the production of feedstock gypsum and gypsum-based products. Today, the top 10 gypsum producers account for about 83% of total gypsum output, with leading positions held by National Gypsum, Knauf and Lafarge SA. After Knauf had purchased USG, Knauf’s share of the global market for construction gypsum products became even bigger. If gypsum production is characterised from the geographical monopolization viewpoint, top five gypsum-manufacturing countries account for over 70% of gypsum production. Despite relative abundance of gypsum resources, such monopolization might pose a challenge. More information on the global gypsum market can be found in the cutting-edge research study “Gypsum: 2018 World Market Review and Forecast to 2027”.